Lately I’ve been looking at coats and sweaters, and I got overwhelmed with how many options there are. But if you know me, you know that I’m always one to hunt down the right fashion investment piece. When it comes to fall fashion investment pieces, I like to first search for the right fit and then decide based on the versatility of the piece. If you’re going to invest more in a piece, you better make sure that it’s something you’ll wear over and over again with multiple outfits. 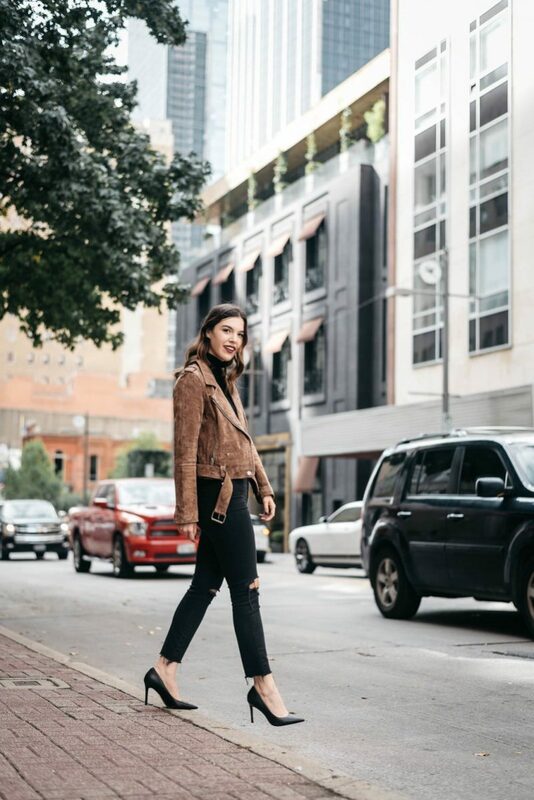 With the temperatures officially dropping where I live, it felt like a good time to discuss how I pick my fall fashion investment pieces and which ones earned their spot in the top five. Burberry Quilted Coat: This was my Christmas present last year, and I have worn it so much. I wear it over workout clothes, formal clothes, work clothes etc. These coats are built to last, and I know I’ll be wearing mine for years and years. Stuart Weitzman Over the Knee Boots: These were a super sale score and the result of impressive patience on my part. After going through multiple lookalike pairs of these boots, I decided that, instead of spending my money on similar boots, I wanted to save up to get the real deal. And boy has it been worth it. These guys are durable and so flattering. 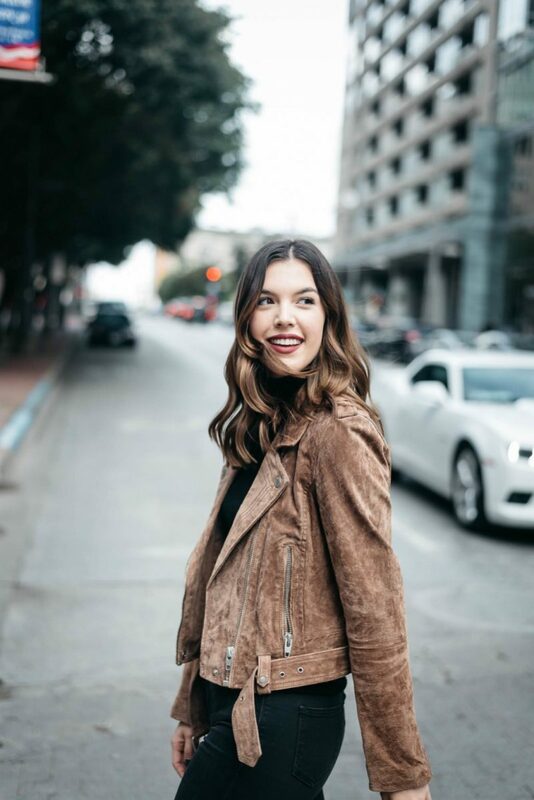 Leather jacket/Suede moto jacket: If you read this caption on my Instagram, you’d know that I used to be scared of wearing a leather jacket. That fear came from not really knowing how to wear one. Now I wear one with so many outfits and my closet wouldn’t be complete without it. It took finding the jacket with the right fit for my body type (it’s best to go try on in person) and some research for inspiration on Pinterest. Trench coat: Are you starting to notice an outerwear theme here? Good! The key to a fall closet with a solid foundation lies in your coats and jackets. You don’t need very many, but you have to have the styles and cuts that fit you the best and blend with your style. A trench coat had been on my list for quite some time. When Club Monaco was offering 25% off, it was the right moment to strike. A trench is a classic addition to your wardrobe that’s great for warmth and even during rainy weather. Cashmere sweater: Like I mentioned in this post, I wanted to add two signature sweater styles in cashmere to my wardrobe. With birthday gift cards, I made the decision to invest in a turtleneck and a pullover for this season and many seasons to come. When choosing a fall investment piece, make sure to invest in styles that are regularly in style year over year. While fall fashion investment pieces are indeed, investments, I still avoid paying full price for these items. There are too many sale opportunities that come around; it’s all about being patient. For some of my investment pieces, I’ve used gift cards from birthdays, waited for Black Friday deals, or taken advantage of discount opportunities in order to add these items into my wardrobe. I love nice things, but I’m a bargain hunter/price comparer at my core! Speaking of Black Friday, there’s about to be some amazing content released on my site to get you in the planning mood THIS WEEK. 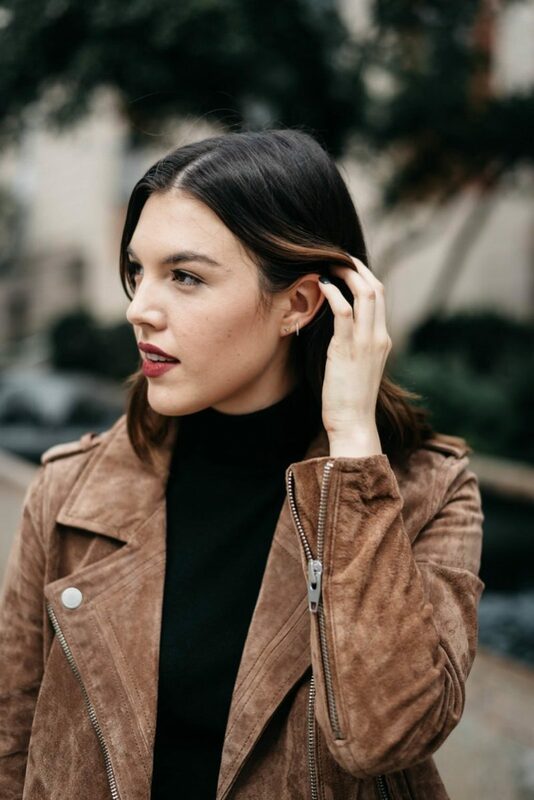 From scoring deals on wardrobe essentials (like fall investment pieces) to knocking out your holiday shopping before December 1st, I’ll have you covered here on Never Without Lipstick. Everything you’ll need will be on the ‘Holiday Shop‘ tab at the top of my site. If you don’t want to miss any new details, then make sure to subscribe to my newsletter below!